If you're planning to buy a house, you need an actionable plan. Striving to save at least 20% for a down payment is the golden rule. For a $200,000 home, this means $40,000. Watch Out: Some loan programs allow smaller down payments, but you'll pay more in the long run. If you put less than 20% down, you will pay Private Mortgage Insurance (PMI). PMI can cost as much as 1% of the loan amount per year. On the $200,000 loan, PMI could cost you $2,000 for insurance per year. This means an extra $166.67 on each mortgage payment. How Much Cash Do You Actually Need? Before you start saving, consider your timeframe. Do you want to purchase a house in the next year, 5 years, or 10 years? Using the $200,000 home example, you would need $40,000 for your down payment. A longer timeframe allows for smaller savings per year. To buy a house in 5 years, you must save $8,000 per year. To buy a house in 10 years, you would only need to save $4,000 per year for the same down payment. Key Fact: You may also need money for closing costs and an emergency fund. Whether you decide to go with a longer or shorter timeframe, there is no better time to start saving than now. Before you start saving, it helps to know how much you need for your mortgage. If you plan on purchasing a home in the next few years, you can use today's income to determine what you can afford. If your income increases, your ability to pay your mortgage only improves. You do not have to stick to this number when you actually purchase a home though. If life causes your budget to change, then you accommodate accordingly. In the meantime, it gives you a concrete figure to plan around. Assuming a 5% interest rate, you can estimate your mortgage payment to be $550 for every $100,000 you borrow. This will give you the total amount of house you can afford. If you can save 20% in this example, you could purchase a $275,000 home with a $55,000 down payment. 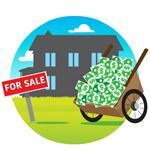 A seller receives money from two places at closing - your down payment and the funds from your mortgage. Lenders usually refer to the down payment as a percentage. A 20% down payment means 20% of the purchase price of the home. The remaining funds you need to purchase the home come from your mortgage. The standard down payment is 20%. But you don't have to put that much down. Your timeframe and ability to save determine how much you can save. Some programs also allow smaller down payments. However, with a lower percentage, you must include mortgage insurance, which will take away from how much house you can afford. For more information: Check out How Much Money Do You Need to Buy a House? to learn more. You may be able to fold your closing costs into your loan, but this will result in a higher overall monthly payment. Earnest money is generally a small percentage of the purchase price or a flat amount of $1000 and up, depending on your market. It is deposited in escrow with the initial written offer and is applied to the down payment. If your offer is not accepted, the earnest money is returned to you. The home inspection will tell you if there are problems with the home that are not obvious to the untrained eye. It usually costs several hundred dollars. The home inspection is vital for most homebuyers. You may also want to pay for a separate termite inspection. Lender fees usually are a small percentage of the loan to cover costs for inspections, appraisals, credit checks, and loan processing. Application fees can also cost a few hundred dollars. Other fees are usually due at closing and depending on the loan, may be folded into the mortgage. Warning: Be prepared for other costs like taxes that would be held in escrow and HOA fees paid to the ownership of the property. If you do not put 20% down on the home, you will be required to pay for mortgage insurance. The only exception is the VA loan, which are only for veterans. FHA and USDA loans require mortgage insurance for the life of the loan. But you can refinance out of the insurance in the future if you qualify for a conforming loan. Buying a house is not just about the down payment and closing costs. You'll have a mortgage in addition to other routine utilities and maintenance expenses. Mortgage rates are an important factor in how much house you can afford. It pays to shop for the best rate. But pay attention to realistic disclosures along with advertisements of low rates. Consult with a mortgage professional to see what loans and rates may be available. So you know how much you need to save. Now what? You could save a few dollars here and there, but that would take ages. Here are a few steps you can take to keep you on track. Start by figuring out what you can afford. Look at your gross monthly income and current monthly obligations. Don't forget about daily living expenses. You need an accurate picture of your money coming in and going out. Then consider if you can cut back on some expenses. Do you have habits you can stop in order to save money each month? Look at your cable bills, phone plans, or grocery shopping. Are there other options you could explore or promotions to take advantage of? Evaluate your budget to see where you can make changes. Tip: Find creative ways to save. Little expenses affect your overall budget and savings. How much money could you save if you made coffee at home instead of stopping at a Starbucks before work? Do you pack a lunch, or do you order from the local sandwich shop? Do you need the latest and greatest smartphone and the data charges that go with it? You might also consider cutting back on things like booze, wine, or cigarettes. The savings might surprise you. Determine where you will save. Saving money should not take effort. Online savings accounts are often the easiest because you can transfer funds electronically. Note: Don't open a savings account at a small brick and mortar 3 towns over. You want to easily deposit or electronically transfer your money. If you have to work too hard to get money into your savings account, it probably won't happen. Credit unions and your current bank are great places to start. You can start an automatic savings plan through your employer or your bank. 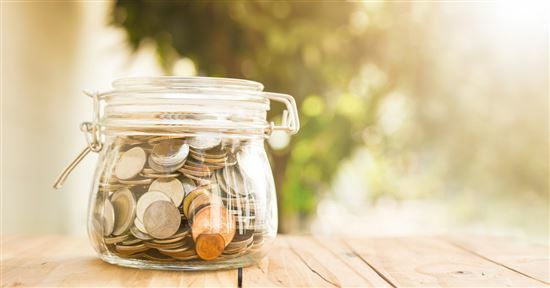 Determine the amount and schedule the automatic deposits into your savings account or a long term savings account, such as a money market or certificate of deposit (CD). These tend to have higher interest rates than regular savings but have penalties for early withdrawal. Any extra money outside of your regular income is bonus money. This might mean actual bonuses from work or commissions. It also includes gifts from holidays or birthdays, tax refunds, or money you make from selling personal items. Immediately place this money in your savings account. Sometimes down payment funds do not come directly from your own paycheck. An IRA withdrawal, down payment assistance, and gift funds from friends or relatives are also other options. The IRS allows you to borrow from your IRA or Roth IRA one time. You can withdraw up to $10,000 without penalties to purchase your first home. This amount is per person. If you are married, both you and your spouse can withdraw $10,000. Traditional IRA withdrawals require the payment of income taxes. You never paid taxes on this money because your employer deducted it before taxes. You do NOT pay the 10% penalty, but be sure to keep the tax liability in mind for tax season. You must hold a Roth IRA account for at least 5 years before you can withdraw the $10,000. You do not owe taxes on this money though. Because Roth IRA funds are already taxed funds, you've already paid them. We do not necessarily recommend withdrawing funds from your retirement account. If you need to use it as a strategy, make it a last resort. TIP: Try to be creative and use the above strategies to ensure you have enough money for the down payment. If you need to borrow from your IRA, always talk to your tax professional first. They can help you decide if borrowing from your IRA is right based on the current market trends. First-time homebuyers do have access to several hundred down payment assistance programs. The terms of the programs differ based on who provides the funds. You may receive a grant, which does not require repayment or have access to lower interest rates. You Should Know: Programs like USDA and VA loans do not require a down payment. However, you have to meet specific eligibility requirements for these programs. Only veterans or their surviving spouses are eligible for a VA loan. For a USDA loan, you must purchase a home in a rural area and make less than 115% of the average income for the area. Speak to a professional to learn more. Many loan programs allow you to incorporate gift funds with your own money for a down payment. Before you accept a gift though, make sure you talk to your loan officer. Each program has different requirements on how much you can receive. Note: Gift funds need to be handled in a specific way. The donor must provide a Gift Letter, which must state the date, the amount of funds, and the reason for the gift. It should also clearly state that it is a gift rather than a loan. The lender must track the funds throughout the transaction. This includes when the donor withdraws the funds and when you deposit them. The larger the paper trail, the more likely it is the lender will approve the use of the gift funds. It may feel like you are throwing money away on rent. But, in fact, you are showing that you can meet a monthly payment. Just ensure that your rent does not take more out of your pocket each month than you can afford. Some people can rent a home with an option to buy. When a tenant enters a rent-to-own agreement, they put money down for an option. The option is a one-time fee that can range from 2.5% and 7% of the purchase price. You cannot get a mortgage now but will be able to in the future. Rent to Own This option offers the tenant the chance (but NOT obligation) to purchase the property at some future point. If they cannot purchase the property at the end of the option, the fee is forfeited unless there is an agreement that it is refundable. Often, a percentage of the rent is applied to the purchase price, as specified in the lease contract. Buyers should consult with a real estate attorney before entering into a rent-to-own agreement. Temporarily increase your income with a second part-time job or working overtime. Cut your expenses by saying no to impulse buys, cutting out entertainment and extraneous expenses, and bargain shopping for groceries and clothing. Coupons and online rebate deals help for purchases you must make for necessities. Online writing services. Companies sometimes need writers to curate existing articles, edit their web content, or write small articles. Tutoring. You can do this in person through a school or agency, or you can do it online. Seasonal jobs. Check out retail stores during peak holiday or tourist seasons. Restaurants. The pay can be low, but you can make good tips. Besides the above suggestions, add some flexibility to your savings plan. Make sure to bank windfalls, such as gifts, bonuses, or large commission checks. And don't forget to plan for emergencies. You need a financial cushion to keep current with expenses in case of a sudden illness or layoff. 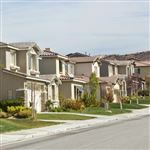 If you can commit to saving several thousand dollars a year over a few years, those down payment savings will build up. You may be able to shorten the time you need to save for the down payment and expenses. There are mortgage programs for people with low income and good credit. Freddie Mac offers Home Possible Advantage, and Fannie Mae offers HomeReady. These feature low down payments and the ability to count non-borrower income or boarder income. There are also education requirements from an approved provider. Some additional programs listed on the HUD website enable teachers, first responders, and nurses to buy HUD foreclosure homes at a 50 percent discount. With an FHA mortgage, the down payment is minimal. A licensed real estate agent must put in the offer for you. TIP: Research low-income loan programs. These include down payment assistance offered by charities, employers, and government agencies. Many who qualify for down payment assistance do not receive it because they do not know that it is available. Remember, these programs can be more flexible on sources of income requirements. But you still need to save for the down payment and closing fees. How Does Your Credit Score Figure Into Buying a Home? Lenders look at your credit history, your ability to pay your debts, your history of late payments, and your overall indebtedness. A low credit score may keep you from getting a mortgage. It will also impact the choices that you have. You may find yourself ineligible for the best loans for your situation. Note A high amount of credit card debt hurts you in two ways. You lose money by paying extra each month in fees and interest, and you lower your credit score, which affects your qualification for a mortgage. If you have a high amount of credit card debt with a high-interest rate, consider a balance transfer to a card with lower interest. If you continue to make the same payments on the new balance with a lower interest rate, you will be able to pay down the debt faster. Saving for a down payment can be a short-term process, even if it tales Starting 5 to 7 years before you purchase a home. When you invest for long-term goals, like retirement, you have more ability to take a risk. If you invest in the stock market and lose it, you may have 30 or more years to make it up. 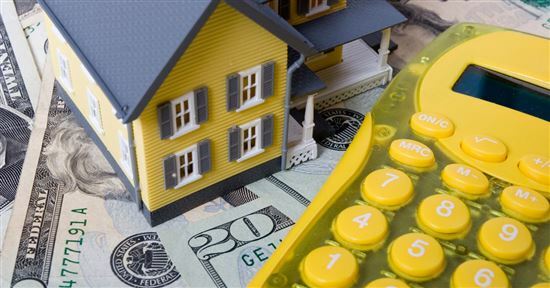 You need down payment money, however, much sooner than the next 30 years. So invest it in places where you can access it and where you won't lose money. We suggest savings accounts, CDs or money markets, depending on your timeframe. All other investment vehicles pose too much risk and could bring your dreams for a home crashing down. The earlier you start saving for a home, the better. Aiming for a 20% down payment will help you minimize the extra fees on your future mortgage payment. It may also help you secure a lower interest rate. Lenders look at lower loan-to-value ratios as less risky. The more you borrow, the riskier you look. Lenders adjust your interest rate accordingly. We recommend that you start putting plans in place today to start saving for a home. 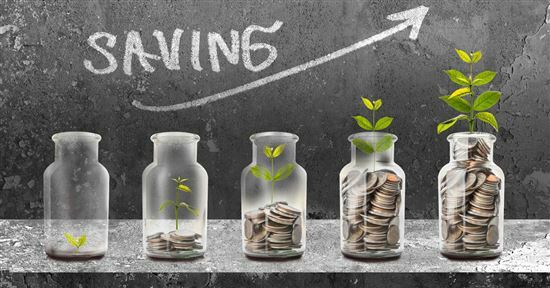 Even if you won't purchase a home for the next few years, saving now saves you money later. Share on Facebook "How to Save for a House"